Readers Chime in! Ontario Provincial Election Primer. I received a lengthy, detailed email from a reader regarding the upcoming Ontario Provincial Election. I’m going to post the entire essay / letter / email, but it is long, and if you are undecided as to who would make the best Premier in Ontario, you will know for sure at the end. What kind of a leader do you want? Since we never know what Kathleen Wynne’s government will do next, we should seriously think how we can find a leader that will deliver what he or she promises without changing his/her mind as often as his/her underwear. With the Ontario budget on March 28, we will face a $8 billion deficit instead of a balanced budget for the next 5 years we were promised. So what would we really look for in a leader? Why is finding a great leader so difficult? Most people qualified to be great leaders wouldn’t waste time on a job that should pay five times as much and most of them wouldn’t like to subject themselves to the abuses they can expect from today’s daily communist or NDP newspapers controlled by the Liberal or NDP unions. Nor would they like the abuses by fake anti-poverty union fronts or the TTC riders (Warren: Hey! I take the TTC). Would you like a job where a nasty critic is hiding under every rock ready to pounce every time you use the wrong handkerchief to blow your nose? That’s how we fall for a fast talker who offers all of our money and that of your grandchildren and great grandchildren. It’s a good bet that we end up with another professional liar with a heart made of horse manure, and with that you can count on someone with more needy, fake relatives on her payroll – once elected – than a Federal or Ontario Liberal. No wonder we end up with so many brain-dead cabinet members or Toronto city councillors going on vacation on our dime whenever they feel like it, who give money away by the barrels to all their friends and hangers-on at their future travel destinations. We’d like to think we could find some intelligent, well-educated leaders, but don’t confuse intelligence with education. The late Austrian Economist Friedrich Hayek (1899 – 1992) made the point on numerous occasions that the more a person has been educated, the greater the likelihood he is an idiot, and while that insight may not be true of those who spent their school years in engineering and science; it is certainly true for those who studied economics (and city planning???). The more they have learned, the dumber they get (taking their advice from the dead). The higher up the economic slope he or she goes, the more the common sense drains out of him/her. The trouble with the Economist, the Financial Times, the US congress and most mainstream economists is not that they don’t know what’s going on, but that they don’t want to know. Nobody gets elected by promising to do nothing. Nobody gets a Nobel Prize for letting the chips fall where they may. Nobody attracts readers or speaking fees by telling the world there is nothing that can be done. But don’t worry, we are not the first nation to have that problem. If you read biographies going right back to the famous Benjamin Franklin or Alexander Hamilton, you will find that the now generation does not have a monopoly on stupidity, intrigue, or on politicians with fake birth certificates. Lack of Common Sense or just can’t make up your mind for over 100 years… Do we have any politicians with common sense? In 1910 Toronto City Council could have built a subway on Queen Street for only $3 million. Ever since then they knew that the subway is absolutely the best way for fast transportation. Councillors really 100 years behind the times by wanting to bring them back? In 100 years of dilly-dallying around, the city of Toronto has made very small progress. The TTC’s own studies done a few years ago said streetcars create gridlock. It seems like the mayor is not able to reason with his NDP and communist councillors to make them vote for our best interests instead of theirs. Then there is the suppressed Bob Leek fire department report that says the LRT right of way could prevent fire trucks to get to the scene of a large fire in good time or not at all. David Miller’s broom swept that one under the rug. LRTs continue killing businesses and the former Chairman of Metrolinx said “who cares about a few businesses, there will always be new ones springing up.” Toronto is spending a fortune on building an underground streetcar on Eglinton Avenue where they could have built a real subway for less. (you have to dig a larger tunnel for LRTs due to the overhead wires required. Also, businesses on Eglinton Avenue are disappearing like those on St. Clair did. Residents in both areas have to pay very high property taxes while losing anywhere local to walk to, horrid road conditions, many road closures and traffic rolling through their area, while the unions take their sweet time completing a 2-year project in 6-years. made it a requirement that any of them must visit and ride the disaster on St. Clair Avenue, because if they knew, it would not have taken 9 votes and still no decision. How do city councillors make their decisions? Christie Blatchford about what’s wrong with Miller’s regime! The brouhaha over ice time at Toronto City Hall is a metaphor for all that is wrong with big government – probably all of them, but certainly Mayor David Miller’s Toronto. The mantras of Mr. Miller’s government go roughly like this: Let us fix what is not broken and ruin what is working well; let us contrive to create a crisis where none exists; let us engage in a bogus “consultation” process when the fix is in; let us decry a lack of transparency in the enemy while working behind the scenes ourselves and, above all, let us give nary a thought to the poor, beleaguered taxpayer. The public along with most politicians still think businesses are the bad guys and must be punished right out of business – that all businesses are loaded with cash. Few people realize that many business people scrimped and saved many years to raise enough money to start a business and then fail miserably, because they lack the experience. Over 90% of new businesses fail! It often takes 2 – 3 years for a business to turn a profit, and it’s getting harder and harder to do that, because governments take more and more of their cash with new taxes and regulations which make no sense whatsoever. Small business owners are besieged with redundant government forms, tax returns for umpteen different taxes and then payroll taxes. While businesses look like a goldmine on some weekends, we forget that the business has to pay employees all week when the stores are empty and has to pay to heat or cool the place seven days a week even on Holidays or vacations, not just when they are busy! Those taxes have all increased. Profits are not a dirty word – Profits are essential for the success of all – because with profit comes consumption, hiring of employees and the economy moves. Governments should treat businesses much better if they want them to continue to provide new jobs instead of begrudging them the profits they make. Businesses are the only ones that create jobs that pay taxes. Government jobs are paid from those taxes. It has been said that Dalton McGuinty and Kathleen Wynne have created more new jobs in China, India, Bangladesh, and Korea than anyone else in Ontario. Money goes where it is treated best, and the public should learn to accept that instead of calling these companies thieves. Many towns south of the border roll out the welcome mat for our businesses with huge incentives and now Donald Trump with great tax breaks for businesses creating prosperity and well-paying jobs instead of welfare. Here we get taxed to death and bombarded with useless regulations. No prosperous country can afford a government which is hostile to business. Recently, while working in my front yard, my neighbours stopped to chat as they returned from walking their dog and during our conversation, I asked their little girl what she wanted to be when she grew up. She said she wanted to be Prime Minister. I asked her what would be the first thing she would do as PM? Her parents – Liberal Party members – beamed with pride! Her parents no longer speak to me. We should think of businesses as the most precious assets to the community. Who else provides jobs and convenient services like food and drinks within easy reach of their homes. Many of the proprietors of these businesses work long hours for small profits that, if divided into the number of hours these business owners put in, would amount to much less than minimum wage. Without these business owners taking all these risks, we would have no coffee shops, no pubs, and you might have to drive a long way to get your groceries. Our politicians should help businesses instead of punishing them with higher taxes, more and more regulations and by erecting barriers like streetcars in front of them, which take forever to build and prevent cars from parking to visit the businesses. show up to receive new contracts with huge raises and bonuses). Remember after the public school strike the Wynne government paid $1-million dollars to the union for “pizza and lodging”. Turns out that was a payoff for “negotiating”. 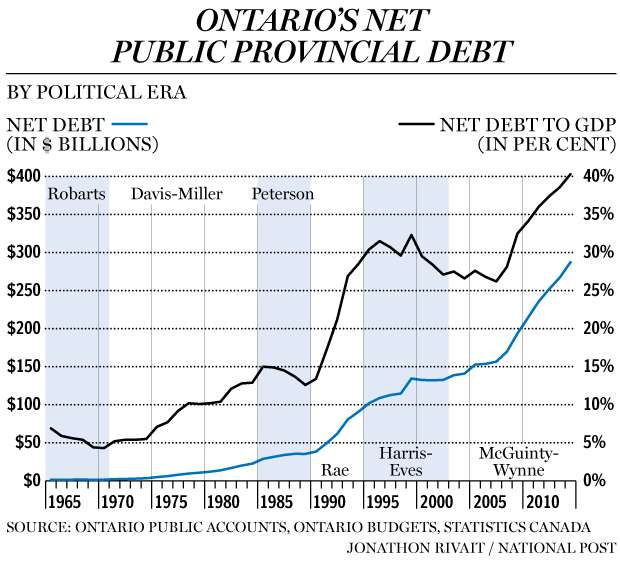 How that didn’t get the Liberals turfed out right away says a lot about how apathetic Ontarians have become. It’s no secret now that a large number of city councillors, and Liberal and NDP MPPs are beholden to the large labor unions which spend millions of dollars and manpower to help get them elected and to influence the voters with expensive newspaper and TV ads so that politicians will approve their high wages and perks galore. as a result, these unions dictate to the politicians what they must do. No sane city councillor would vote for business-killing streetcars promoted as ‘rapid transportation’ LRTs, if it weren’t for the influence of the unions. Especially when most of them admit that subways are much better. Unions should not be allowed to spend money to promote politicians or their parties. What else did McGuinty’s, and now Wynne’s government do that is anti-business and why we should get rid of the Liberals? admit that their government didn’t deliver what it promised, and guess who paid for this propaganda? We did. The taxpayers in Ontario. can spend millions without spending limits like politicians. the opposite – they are anti-business., anti-car, and spend on their friends, then increase taxes to cover the costs. brain-impaired bureaucrats which cost businesses millions of dollars, claim the regulations will benefit business when result is higher taxes, or cap and trade or some other tax-in-disguise gimmick. The Ontario business climate is now so hostile that hundreds of companies have folded or left for greener pastures south of the border or have their goods manufactured in Bangladesh at a third of the cost. Metrolinx is a provincial agency created by the Liberal government to improve transportation in Ontario and they are doing exactly the opposite. With their ‘Big Move’ they are making traffic worse and have no plans to improve our network of roads. 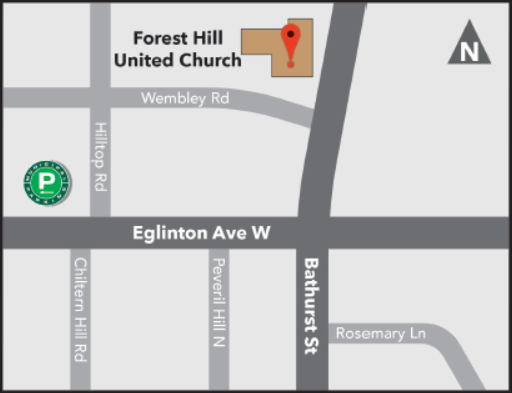 With construction 4-years in (2-3 to go) on the Eglinton LRT, traffic has been a nightmare the past five years – worse than St. Clair Avenue ever was. The $1 billion power plant shuffle. Metrolinx has ignored all the TTC’s own studies that say LRTs will create too much gridlock in all directions. The LRTs and the Bus right of way on Hwy 7 in Markham also violate the “Ontario Access for people with disabilities Act” because they deny people on the opposite side of the road access to your business when they can’t make left turns to reach your business. The Act requires businesses to make it easier to reach them despite the Liberal government doing the opposite. larger areas of the City, like Finch Avenue! Wake up people of Toronto and people in Ontario! We were hoping that premier Kathleen Wynne may be a trifle smarter than Dalton McGuinty or Bob Chiarelli? (you must be kidding) but we were wrong. She continues the same BS on a larger scale. Transportation plans should be left to transportation experts and not to politicians or former Liberal hacks parked on Wynne’s Metrolinx Sunshine list or brain-dead morons with closed minds. If we ever want to rid Toronto of gridlock, the Province must work with the cities and with transportation experts to tackle the problem. David Miller’s hastily put together Transit City plan was a disaster as he ignored the demands of the businesses on St. Clair Ave, and Metrolinx is no help by adopting a new version which failed to show any vision for a progressive city or provide an acceptable solution for transportation which includes cars. Doesn’t anyone wonder how the New York subway system was built in just 2 years, in a time before trucks and bulldozers were available, while Toronto takes 7 years to build a 7km subway to Vaughan with all the modern tools? A smart government would have put their trust in some expert planners and engineers with a great, all around, balanced transportation plan for Toronto instead of a plan put together over a couple of weeks on the back of a napkin by NDP politicians or so-called planning experts who were required to study dead rabble-rousers like Jane Jacobs. Completion of Vaughan extension – D (it finally finished). feet wide) in the Gatineau Hydro corridor – which runs from the DVP at Don Mills Road out to Scarborough – to build a relatively inexpensive highway, or turned Black Creek Drive into a highway with a tunnel to Lakeshore. Toronto has not built a new road in forty years and needs some of the Province’s land and permission to build more, but they’ll take away lanes on the roads for bikes even though there it’s Toronto, it’s cold, and more people move in cars than bikes. hold up power lines. The irony here is that there is no winter maintenance on these trails, yet automobiles have to stop at all their expensive traffic lights all year round. Our Mayor together with a majority of Dinosaur councillors are crippling our city with bike trails by stealing all the parking from businesses and eliminating many lanes for cars, to further wage their war on cars and on businesses. Why did the Federal Liberal government pay a terrorist 10.5 million? Is it legal that the Trudeau clan spends so much money that our great-grandchildren who are not even born are obliged to pay for his grandesse? Is it legal for our prime-minister to take six cabinet ministers and 13 MPs on a one week vacation trip to India without conducting any real business, and having taxpayers pay for an exotic wardrobe costing as much as your house? Shouldn’t there be a limit how much money Mr. Trudeau can waste on luxuries for his family vacations and those of his friends? certificates are generally sent back to their countries, how is it that a Liberal-supporter, turned Cabinet Minister was not? That doesn’t seem fair… Or legal. Ontarians need a leader who won’t charge us carbon taxes. Wynne’s Liberals will. Trudeau will if Wynne won’t. Carbon Taxes are a cash grab and do absolutely nothing to reduce pollution. We need a leader who won’t pass all kinds of legislation to discourage free speech at our schools and Universities about several topics not just abortion. Wouldn’t it be great for a child to be educated without being indoctrinated about how great the NDP is and how horrible Conservatism is. McGuinty’s Green Energy Act (the role of the PM is now being played by Kathleen Wynne) is a much bigger failure than E-Health – the largest tax grab in the history of Ontario – was. Time of use rates, LED’s, and Ontarians doing everything in their power to conserve energy and reduce costs, while the Liberals do everything in their power to stick it to Ontarians and charge them money. While doing things to improve our environment is a great idea, the Liberals green energy projects have turned out to be much bigger failures than the $1 billion E-Health scandal – roughly 18 billion of your taxpayer dollars wasted thus far. The worst part, is that some is that money went to enrich Dalton’s friends. Wynne’s Books cannot be trusted. Dr. Jack M. Mintz was appointed the Palmer Chair in Public Policy at the University of Calgary in January 2008 and Director of The School of Public Policy. Widely published in the field of public economics, he was touted in a 2004 UK magazine publication as one of the world’s most influential tax experts. They don’t trust her anymore and are tired of backing up her deceitful ways of screwing the taxpayers. They know they would go down to defeat with Kathleen as their leader. To really save Ontario, forward this story to as many of your friends as possible, and voting for the NDP would be like jumping from the frying pan into the fire. Don’t let Andrea’s smile fool you. Don’t let us imitate Alberta (and their NDP fiasco)… Doug Ford is our only salvation now.